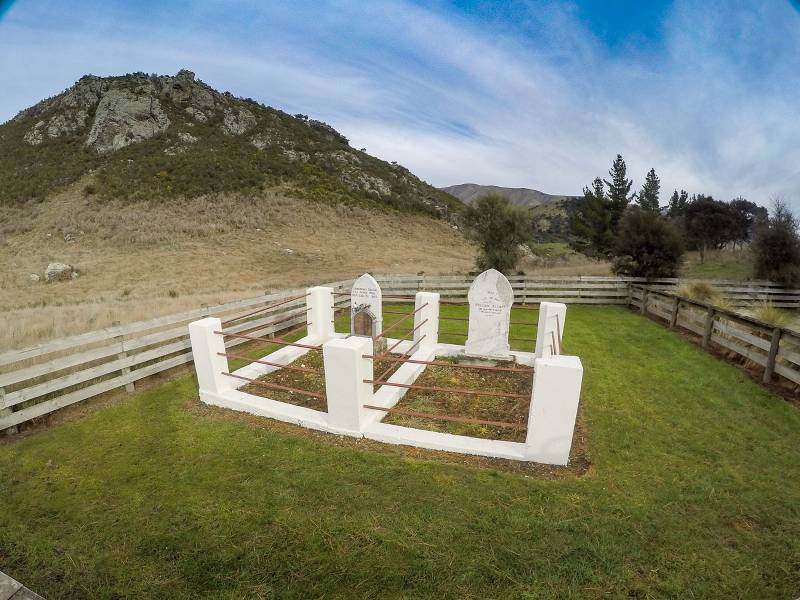 Situated along the Millennium Track some 17 km’s from Millers Flat and near the Clutha Gold Cycle trail, the Lonely Graves is a well-known historical site now managed by DoC. 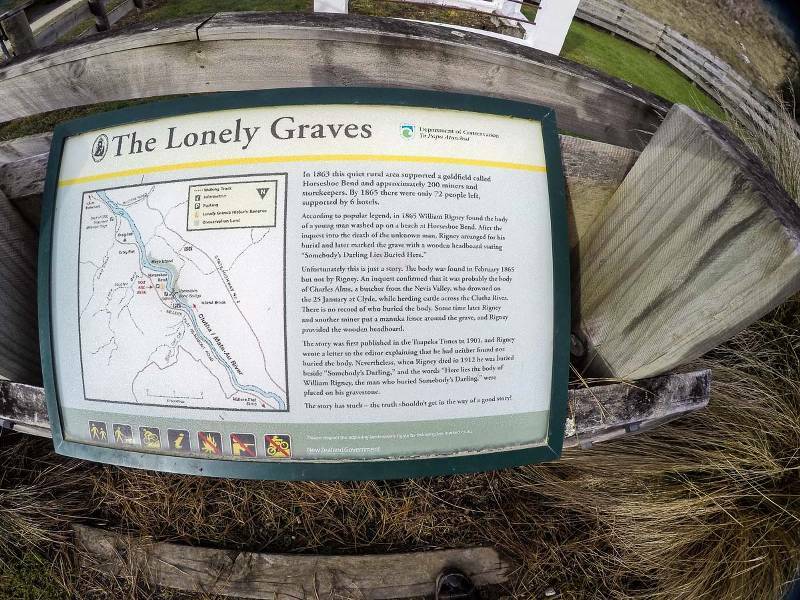 Stories and myths abound in regard to the site, the most popular being that in 1865 William Rigney found the body of a young man washed up on the beach at Horseshoe Bend. An inquest was held and Rigney arranged for burial of the young man presumed to be Charles Aims. After publication of this story in the Tuapeka Times in 1901 Rigney contacted the paper and explained that he had neither found or buried the body. However the story stuck and when Rigney died in 1912 he was buried alongside “Somebody’s Darling” and the words “Here lies the body of William Rigney, the man who buried Somebody’s Darling were inscribed on his headstone. Prior to DoC’s assuming responsibility of the site the local population maintained the area. As a footnote after the opening of the Millennium Track in 2000 the headboard from “Somebody’s Darling” grave was found to be missing. The area was searched but no trace was found. However some months later the staff at Te Papa, our National Museum were reported to have found the headboard outside the main door. Like all the previous stories about the site this was not true and it was actually found outside a police station in Wellington. One of the detectives there thought it was beautiful and decided to investigate. Eventually the mystery was solved and the headboard returned to its rightful place where it is much more securely attached.